A Lincoln native, Charissa, completed her undergraduate work with a Bachelors of Science in athletic training with a minor in spanish at Nebraska Wesleyan. She received her Doctorate of Physical Therapy from A.T. Still University in Arizona. After physical therapy school, she returned to Lincoln to be closer to family. Charissa has completed numerous continuing education courses in Postural Restoration, Kinesiotaping, mobilization of the cervical and thoracic spine, and is certified in Active Release Technique for the spine. Charissa is also a certified athletic trainer and uses this experience to assist patients in returning to a high level of play. She has many years of experience working with athletes of all levels, as well as the general population with spine, knee, ankle and shoulder injuries. Charissa is married and has three sons and one daughter. In her spare time, she enjoys spending time with her family, attending her children’s sporting events, camping, and living an active lifestyle including running, completing half marathons, and weight lifting. She has used her love of running to coach Girls on the Run for many seasons. Connie grew up on a farm between Lindsay and Humphrey, Nebraska. She attended the College of Saint Mary in Omaha and was pursuing a double major in biology and chemistry, and a minor in psychology when she was accepted to the physical therapy program at the University of Nebraska Medical Center. Connie received her Master’s of Physical Therapy from the University of Nebraska Medical Center. She graduated with honors and received the Mary McMillan national award for excellence in physical therapy studies. Connie was 1 of 25 in the United States to receive this prestigious award. Connie originally worked for 6 years in a facility that exposed her and gave her experience in multiple areas of patient care which included post-surgical rehabilitation including foot and ankle, knee, hip, spine, and shoulder with an emphasis in total joint rehabilitation. Connie is best known for her spinal rehabilitation including disc derangement, facet dysfunction and sacroiliac (SI) joint dysfunction. Connie’s success in treating patients can be attributed to her ability to evaluate movement dysfunction, soft tissue dysfunction, and biomechanical imbalances. Connie has an overabundance of experience with multiple treatment diagnoses and treatment techniques. Connie uses applied science and biomechanical theories along with integrative treatment techniques to treat patients successfully. Treatment techniques include traditional therapies along with postural restoration, integrative dry needling, myofascial release, cranial sacral mobilization, muscle energy techniques, soft tissue remodeling using gua sha tools, and soft tissue mobilization using cupping techniques. Connie has a team of colleagues provide a wide variety of training techniques that can be used in co-treating. Many of Connie’s patients get a team approach in order to provide multiple treatment techniques to further progress the recovery of her patients. 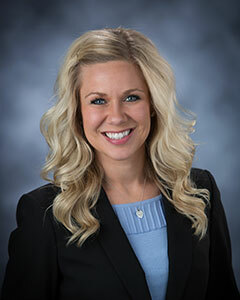 A York, Nebraska native, Janae is a graduate of the University of Nebraska – Kearney, where she received her Bachelors of Science in Exercise Science. 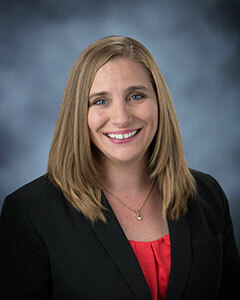 She received her Doctorate of Physical Therapy from the University of Nebraska Medical Center and became a member of the Crossroads Physical Therapy team following graduation. Since beginning her career in outpatient orthopedics, Janae has received extensive training in Postural Restoration. Janae is passionate about assisting her patients to meet their functional goals and enjoys working with a variety of patients and diagnoses. She also has previous experience working with neurological diagnoses and pediatric patients. 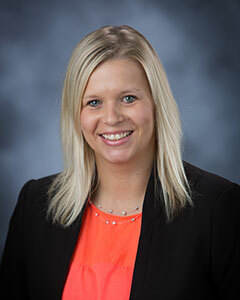 Janae is a member of the Nebraska Physical Therapy Association and the American Physical Therapy Association. Janae is married to Andrew, and is the mother to two children, Asher and Jayla. She enjoys spending time with her family and friends, spending time outdoors, exercising, and crafting. 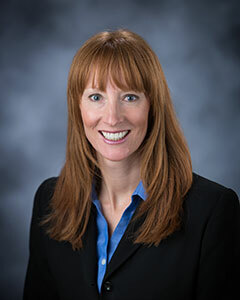 Julie is a Wyoming native and completed her graduate school at Rosalind Franklin University of Medicine and Science. She received her Postural Restoration Certification in 2012, and also has extensive biomechanical training in functional applied sciences, women’s health, and soft tissue mobilization. She joined the Crossroads Physical Therapy staff in 2011, where she is continuing her outpatient physical therapy career. Julie enjoys providing excellent outpatient physical therapy services, where her goal is to help her patients achieve their highest function. Julie likes treating a variety of diagnoses, and ages. She has a background in education and strives to help patients understand their body and how they can manage their symptoms independently. A Lincoln native, Kyle completed his Bachelors of Science in exercise science at Nebraska Wesleyan University. In addition to his academic endeavors, Kyle had a successful career as a member of the Prairie Wolves track and cross country team. 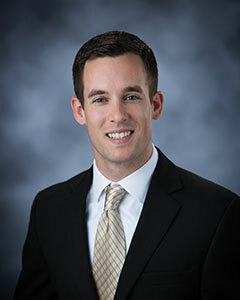 Kyle received his Doctorate of Physical Therapy from Des Moines University, and has been with Crossroads since graduating. His treatment philosophy is focused on addressing underlying foundational mechanics and soft tissue dysfunctions that contribute to movement limitations and pain. Kyle has received training in Postural Restoration and Applied Movement Science to better understand faulty biomechanics. He uses these theories to assist in treating dysfunctions of muscles. He is also a Graston Technique provider, an instrument assisted soft tissue mobilization technique that can be used to treat a variety of conditions from acute injury to chronic musculoskeletal conditions. Kyle continues to stay active as a runner and cyclist, participating in races locally and across the country. Lisa’s hometown is Overland Park, Kansas. She came to Lincoln in 1995 to accept an athletic scholarship and work towards an undergraduate degree in biology. She was a member of the University of Nebraska volleyball team from 1995-1997. Lisa was personally introduced to the field of physical therapy when she sustained significant injuries during her collegiate career. After finding success with a treatment approach termed Postural Restoration, Lisa decided to attend physical therapy school. 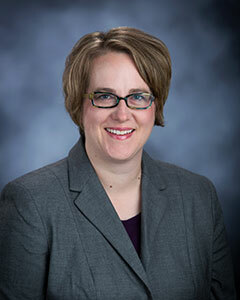 She received her Doctorate of Physical Therapy from the University of Nebraska Medical Center in 2005. Following her training she went to work at the Hruska Clinic for four years, and then accepted an opportunity to practice at the Rejuvenation Center in Omaha. Lisa joined Crossroads in 2011. Lisa has been certified in using Postural Restoration techniques since 2008. She has collaborated with Dr. Paul Coffin, podiatrist, for years and has become proficient in foot orthotic evaluation and fit. Lisa has been a consultant to several university sports medicine departments and authored numerous articles regarding biomechanics and preventative training strategies. Given her personal experiences with athletics and injuries, Lisa's special interest is working with athletes of all levels who are struggling with injury and pain. She also has extensive experience working with low back pain, neck pain, shoulder dysfunction, and TMJ dysfunction. Lisa is married to Bruce, and the mother of two wonderful blessings, Claudia and Joshua. She enjoys family time and just about anything outside. She is also a dog lover and the proud owner of two cardigan corgis; Teddy and Teegan. Sheila is a Franklin, Nebraska native. In 1995 Sheila received an Associate of Applied Science from Colby Community College in Colby, Kansas. She is a licensed physical therapist assistant. Sheila’s favorite part of being a PTA at Crossroads is getting to work with an amazing team of therapists, and learning many different approaches and treatment techniques to integrate into her patients’ treatments. Sheila has been employed at Crossroads Physical Therapy since 2008. Prior to joining Crossroads, Sheila worked at Madonna Rehabilitation Hospital serving both inpatient and outpatient populations, and at an outpatient clinic in Omaha. Sheila’s hobbies include cooking, painting, going to her kids’ various activities, and spending time with family and friends. Sheila and her husband, Arlyn, have four children. Stephanie is originally from Wahoo, Nebraska. She completed her undergraduate degree at Doane College majoring in athletic training where she rehabilitated athletes and returned them to competition. She then moved to Kansas City where she attended Rockhurst University for her Doctorate of Physical Therapy. Her special interests are athletes of all ages and sports, vertigo, neck and back pain. Stephanie’s expertise includes myofascial release, spinal and pelvic mobilization, BPPV, visceral mobilization, and post surgical patients. Previous experience includes sports medicine with NAIA and NCAA Division I athletes, both inpatient and outpatient hospital settings in Kansas City, and outpatient orthopedic clinics in both Missouri and Nebraska. Stephanie is married with 2 children. She enjoys watching movies with her family, participating in her children’s sporting events, and running. She also enjoys getting to know her patients on a personal level and helping them return to their prior level of function. 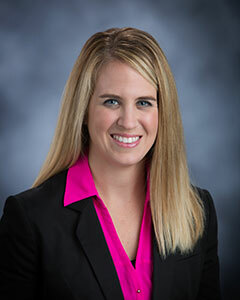 Professionally, Kelsey received her Doctorate of Physical Therapy from Creighton University. During her time at Creighton, she had the opportunity to work with the Nebraska Athletic Medicine Center where she worked with collegiate baseball, softball, and gymnastic athletes. 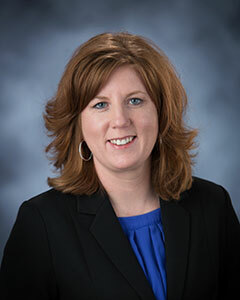 She has a strong outpatient orthopedic background and will continue to assist patients at Crossroads Physical Therapy. 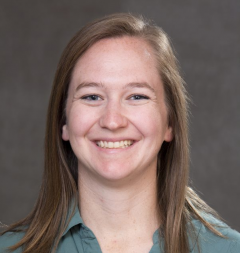 Kelsey completed her undergraduate education at Concordia University, Seward, Nebraska with a degree in Exercise Science and a minor in Biology. As a softball collegiate athlete, Kelsey transitioned to the assistant coaching staff after a career ending injury for two years. Kelsey is passionate about helping athletes and active individuals of varying ages and skill levels reach their goals. She loves to help them return to the activities that have been limited due to pain and injury. She enjoys working with patients who have knee and shoulder injuries. She is originally from O'Neill, Nebraska. Kelsey is married to her husband, Kyle, and enjoys going to the gym, camping, fishing, kayaking, and spending time with her family in her free time.